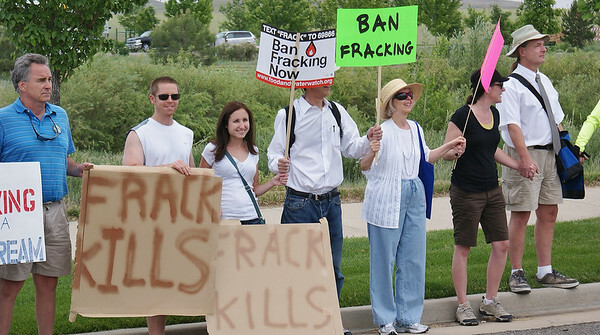 Group of fracking protesters with sign, march together. 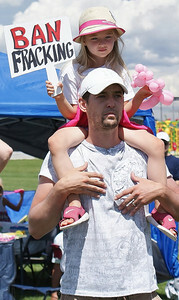 Man holding young daughter with "ban fracking" sign, on his shoulders. 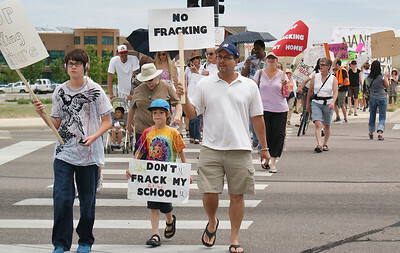 Man and two young sons at the head of long line of marchers protesting fracking. 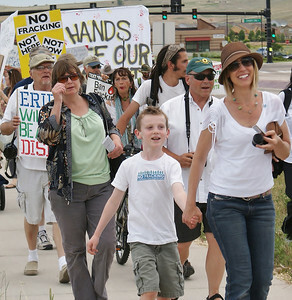 Woman and young son hold hands while marching in anti-fracking protest, many marchers behind them. 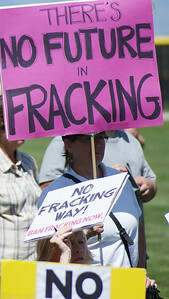 Line of marchers with signs opposing fracking. 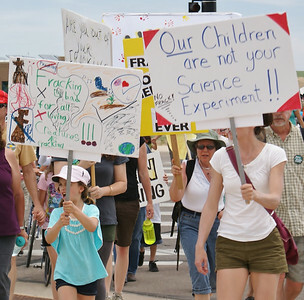 Young girl shouts while marching with sign against fracking, other marchers with signs behind her. Video camera operator records speaker at a political rally, while woman holds up megaphone for the speaker. Long line of anti-fracking protesters marching down sidewalk, many with signs, some with small children. 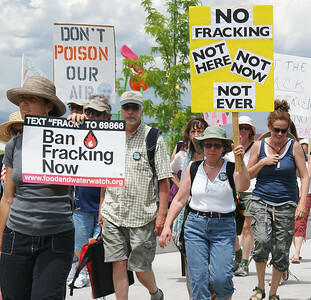 Large group of fracking opponents march together. 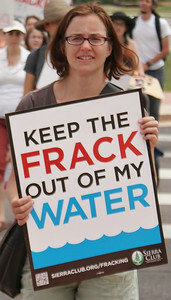 Woman holding sign about fracking and water safety. 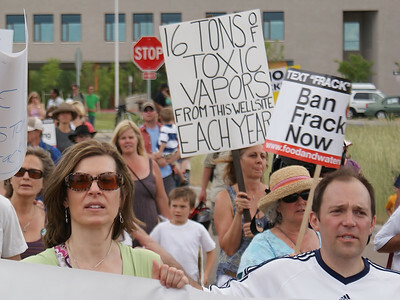 Two women peek out from behind anti-fracking signs they are holding. 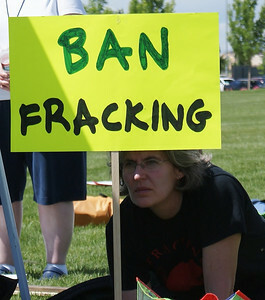 Women looks out from behind anti-fracking sign. 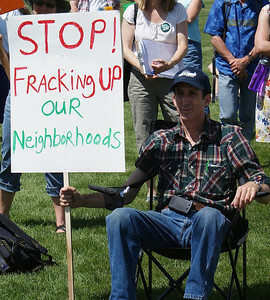 Man sitting in lawn chair holding anti-fracking sign. 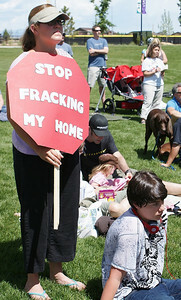 Woman holding stop sign shaped anti fracking sign, other protesters in the background. 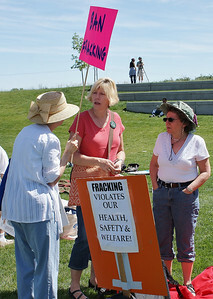 Three women talk with each other, anti-fracking signs next to them. 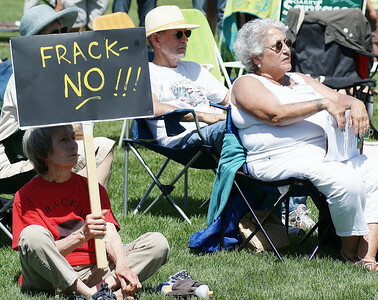 Senior Colorado woman holding sign against fracking in her state. Woman sitting on lawn holding "frack no!" sign, other protesters next to her. 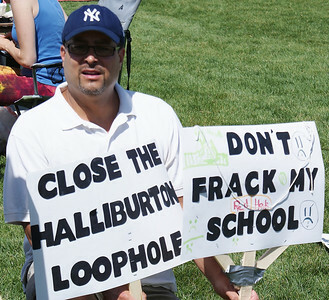 Marchers with signs protesting fracking. 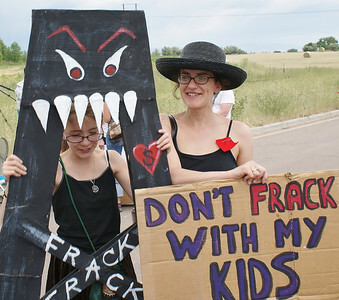 Woman and young daughter with anti-fracking sign and cardboard "frack monster". 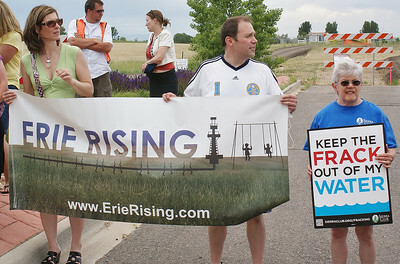 Anti-fracking protester holding large "Erie Rising" banner. 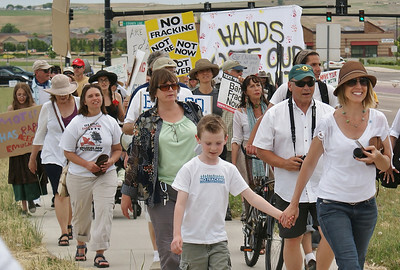 Fracking opponents in a line, holding hands. 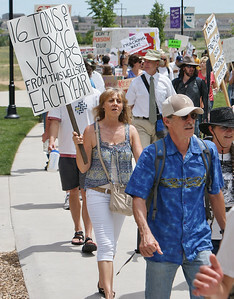 Woman speaks at a microphone on stage, Sierra Club banner below her.